It's pretty straightforward to set up a manual-entry Do More goal to visit the gym more often. But maybe you've been weaseling a bit: entering data on your goal to avoid derailment, even if you didn't go to the gym that day. That's not helping you achieve your goals! 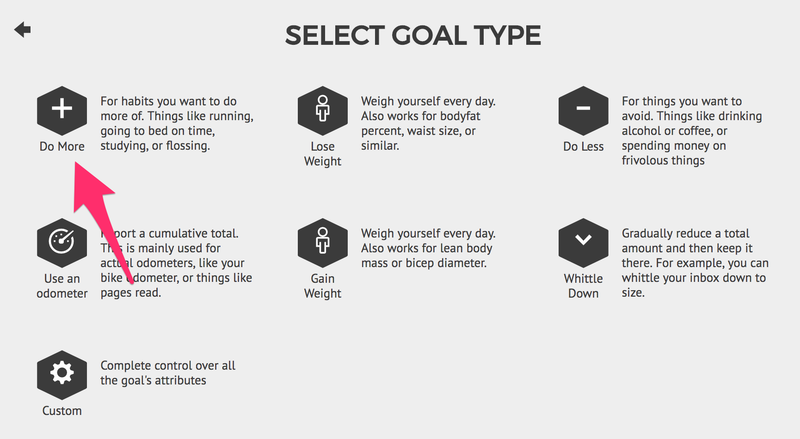 Let's make this goal more useful by setting it up so that we can't enter data at all — a datapoint is automatically added by an external service only when we actually go to the gym. 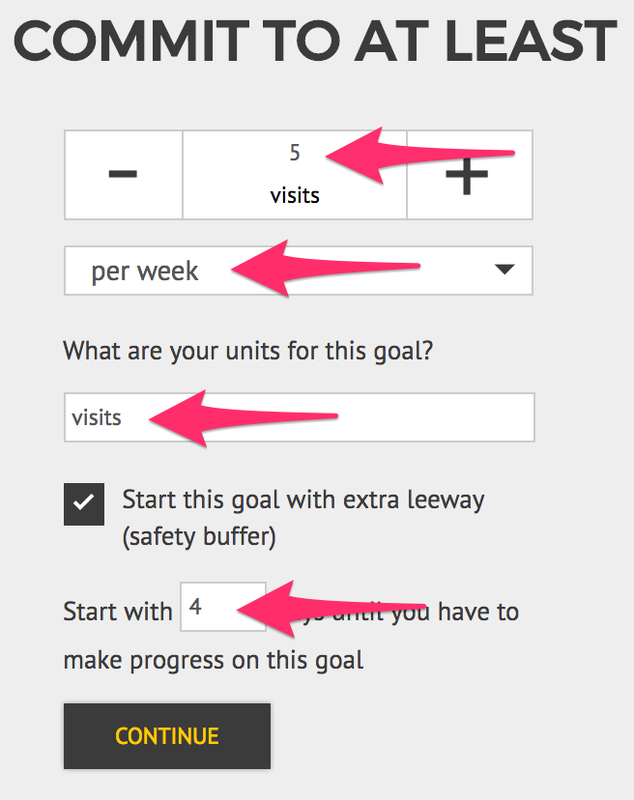 For this particular goal setup, you'll need to use IFTTT to automatically send data from an outside service to a Beeminder goal. If you don't have an IFTTT account, you'll need to set that up beforehand. 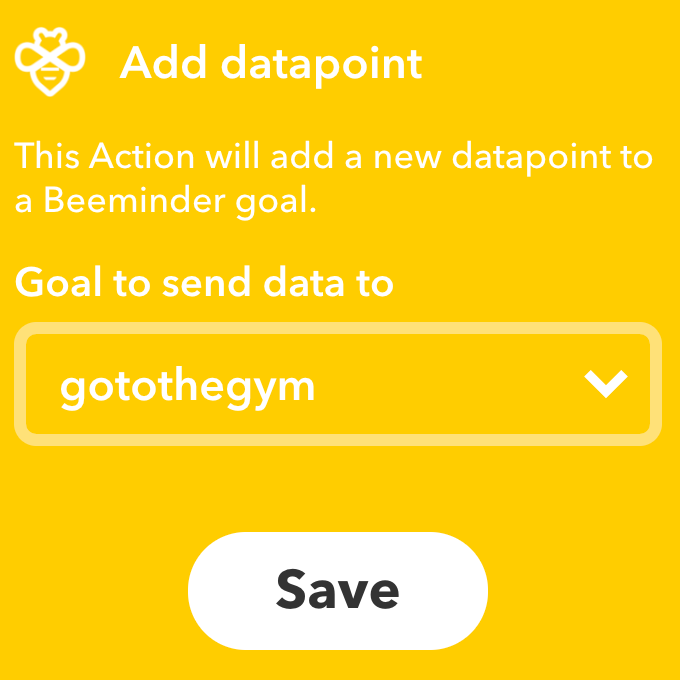 First we need to create the Beeminder goal that will receive the data, then we'll head into IFTTT to set up our data trigger. 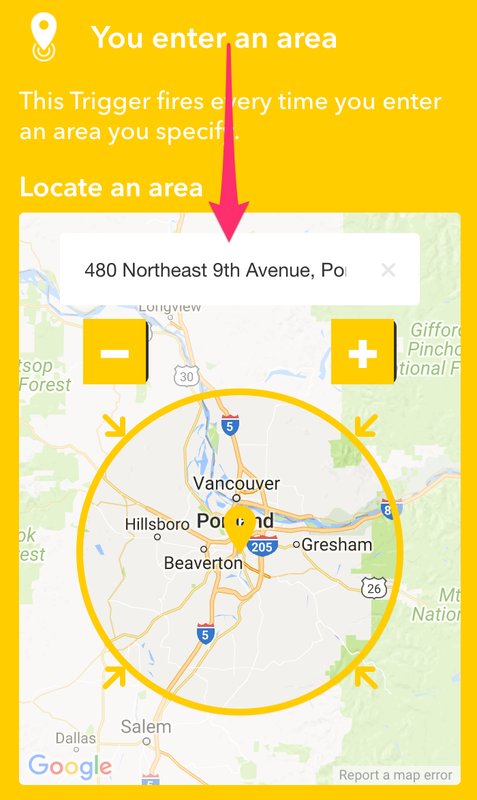 The example below uses your phone's location as the data source, but that's not the only option! Foursquare/Swarm checkins are another very popular trigger used for goals like this. And now my goal is ready to get some data from IFTTT. 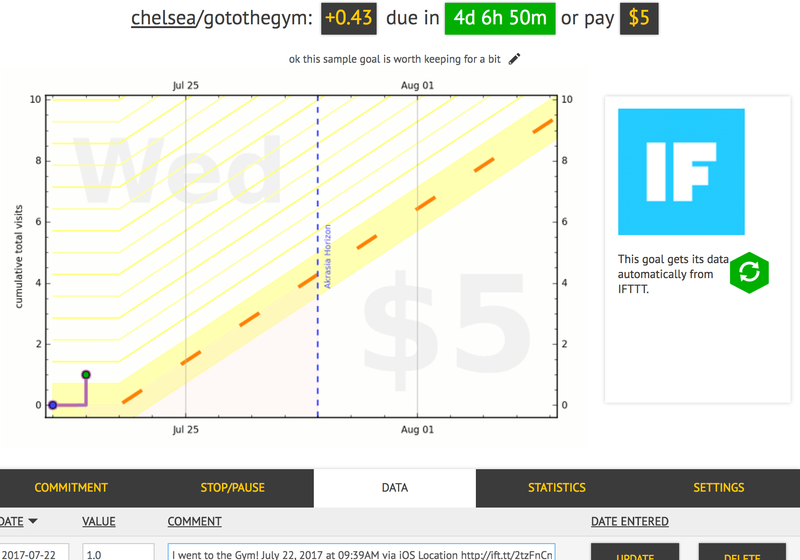 I'll need to go to the gym in the next 4 days to avoid paying Beeminder my first $5! 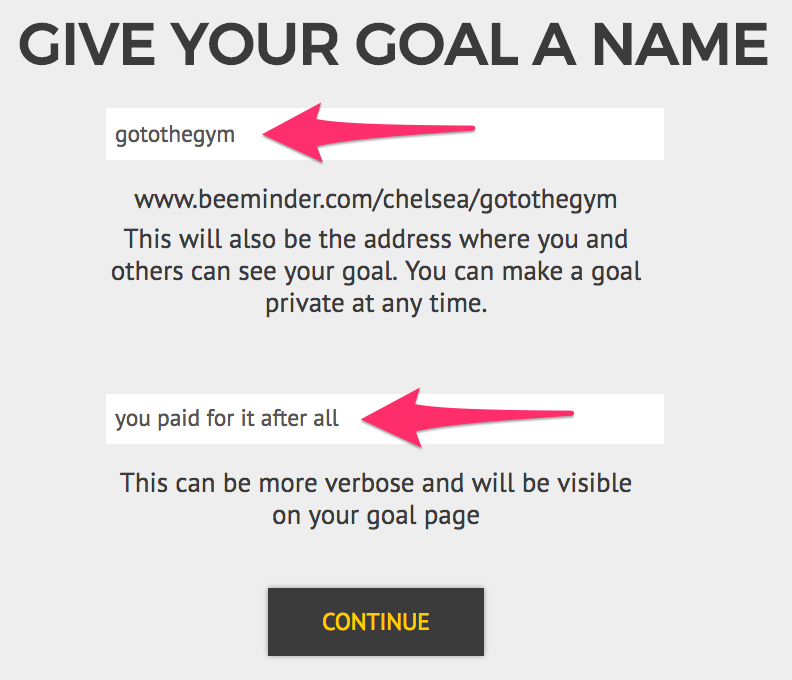 Select the Beeminder goal you just created as the Goal to send data to, then press the Save button right below. And you're done! 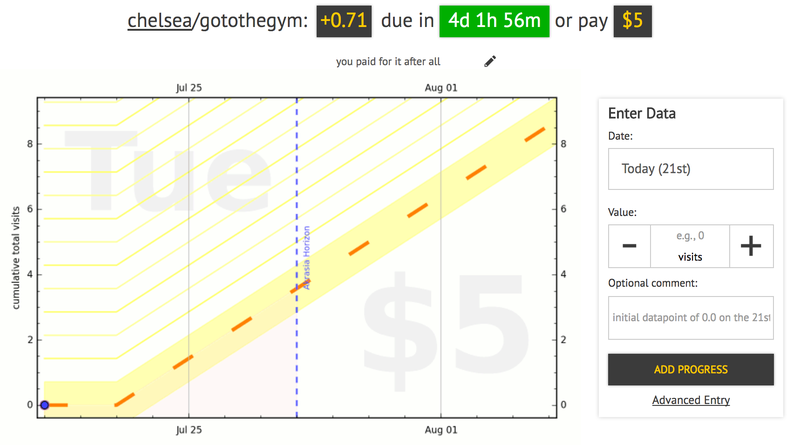 There shouldn't be any data at first, but after your next gym visit, your graph should look something like this — notice a datapoint has appeared from IFTTT in the Data tab.